The iPhone 8 and the iPhone 8 Plus include support for the Enhanced Voice Services (EVS) audio codec that offers improved voice quality and better call reliability, KDDI president Takashi Tanaka told Engadget Japan in a recent interview. EVS is the first codec that offers up to 20 kHz audio bandwidth for higher quality audio, higher frame/packet error resilience, and higher compression efficiency than other speech codecs for a better user experience. In the United States, T-Mobile supports Enhanced Voice Services and has offered EVS since early 2016. According to T-Mobile, EVS on its network offers improved voice call reliability in areas of weaker signal for fewer dropped calls and higher-fidelity calls for more realistic voice audio. AT&T, Sprint, and Verizon have not yet announced support for EVS. 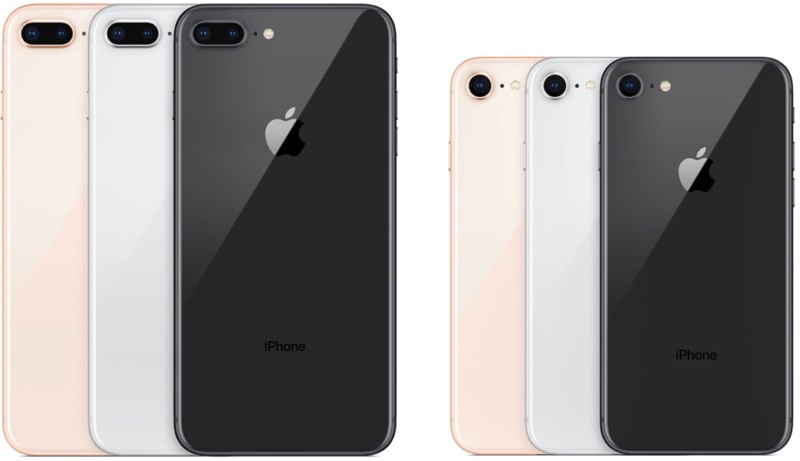 Apple does not mention support for the feature in its iPhone 8 documentation, but UK carrier EE also recently confirmed that the iPhone 8 and 8 Plus work with EVS in a press release announcing EVS support on its network. Along with T-Mobile and EE, several other carriers in Europe and Asia also support EVS, including Vodafone Germany and NTT DoCoMo. T-Mobile, nice. Keep Sprint and its owner the heck away from them, ownership and a merger. T-Mobile will absorb Sprint and not the other way around as reported in the previous years. T-Mo is actually doing better now. T-Mobile is a good competitive carrier. Sprint is a bottom of the barrel carrier. If they merge, absorbing Sprint's mediocrity will bring down T-Mobile a few notches. True. The CEO of T-Mobile will run the merged companies, which is business-speak for Sprint will be absorbed. Still, I agree with the original poster. T-Mobile has impressed me repeatedly since I moved to them early this year, and I don't want anything to derail or distract them. If it's not supported on 3/4 of the carriers, how would it be causing this? Makes zero sense. Because it's easy to blame something when you have absolutely no idea what you are talking about. I think this new codec is why some people are hearing crackling on their new iPhone 8. Huge thread in the forums. Certainly the iPhone 7 has the needed hardware and horsepower for EVS.